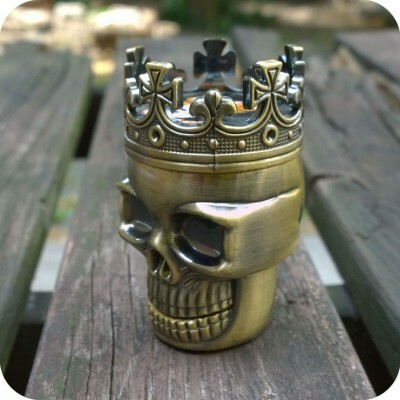 Spooky and sharp are the best ways to describe your brand new skull grinder! 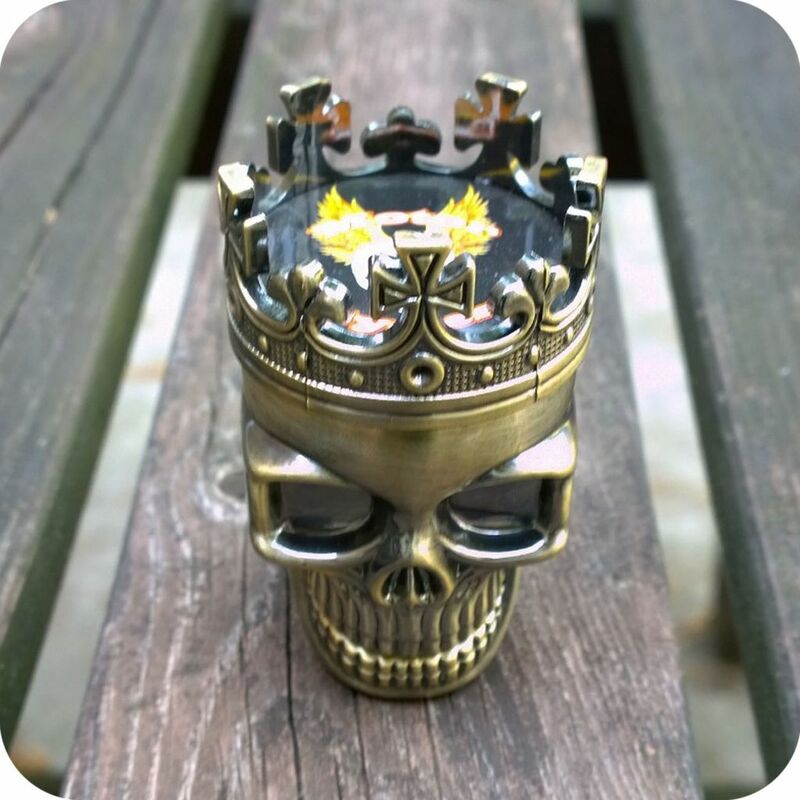 Watch how quickly the crown crushes up your fresh herb with skill and precision that will have a satisfying bowl resting in your piece within seconds! Don’t touch the blades too long – they’re razor sharp, but all the better for slicing and dicing! 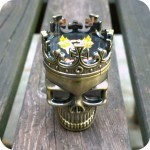 Detail is paramount on this great grinder, and certainly gives a unique look that can make for a great addition to any shelf or coffee table! Get your smoke circle gasping at the style of your new addition, and get this TODAY before it’s too late! 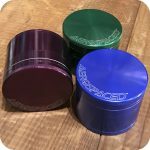 If you frequently use Raw, Element, OCB, or any other rolling papers, a grinder is a perfect addition to your smoking gear collection. It’s very useful to those who roll up. Avoid the hassle of breaking up your herb by hand and just grind it super fine, pack it up, and roll. 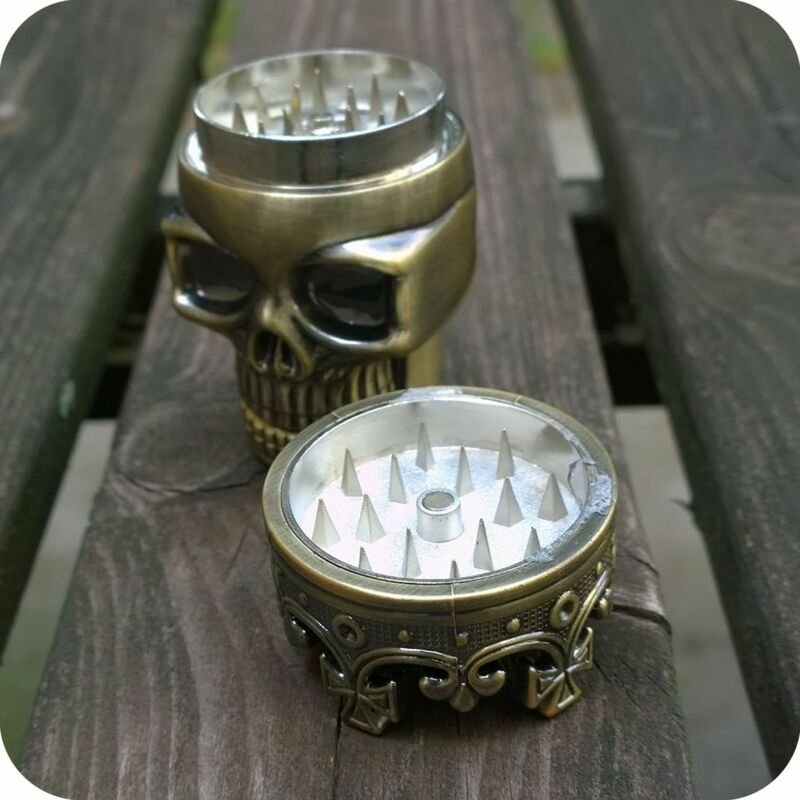 Grinders also work great for those who prefer to vaporize their dry herbs. It’s best to grind your herb finely before packing it into your vape for the best results. 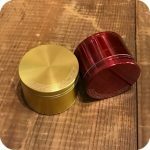 Another feature many grinders include that helps you conserve your money and herb is a fourth chamber known as the pollen catcher. Use this final chamber to catch any extra pollen or dust that would otherwise be lost when grinding your herb manually. Let the pollen build up over time and save it for a rainy day! 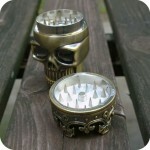 Tags: Four Chamber Grinder, Grinder, Metal Grinder, skull, skull grindger.